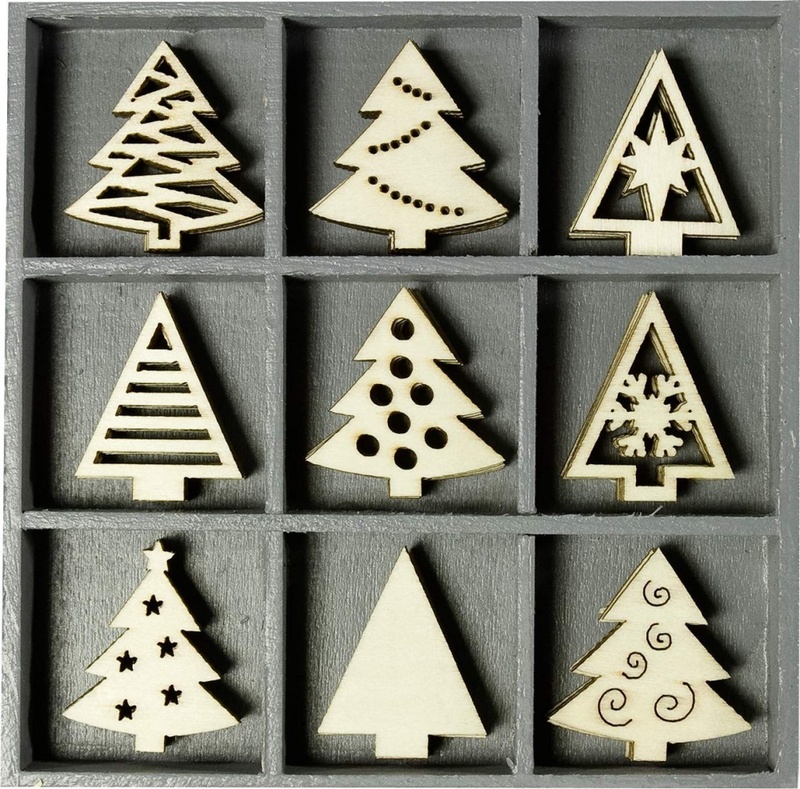 This box of wooden Christmas themed embellishments contains 45 tree shapes (5 of each design). The box is sized approx. 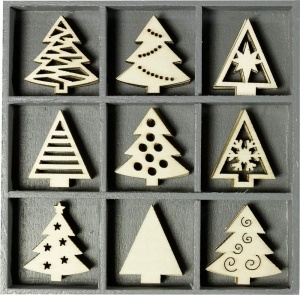 10.5x10.5cm and each design varies in size between 2-3cm in width. Please note that the box does not come with a lid.